Today the team at Defiant completed the required steps to make our organization and services GDPR compliant. Your starting point for Wordfence and GDPR should be the following page: Wordfence and GDPR – General Data Protection Regulation page. On the above page you can find everything you need to ensure that you remain GDPR compliant while enjoying the security benefits of Wordfence. This includes a pre-signed data processing agreement if you need to sign one. We also include a list of the cookies the Wordfence plugin sets when installed on a site and what each cookie does to improve security. We have optimized this process so that, if you have many sites running Wordfence Premium, once you agree on one site, you won’t have to repeatedly agree to the same terms across all your other sites. I’d like to congratulate our team on completion of this project. It required hundreds of hours of work which included product updates, website changes, the creation of new agreements and documentation and a thorough data and security audit. 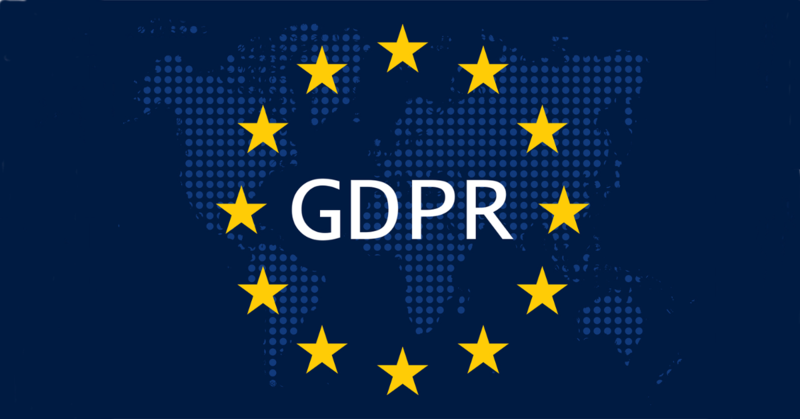 While we can not provide GDPR advice to other companies, if you have any questions about GDPR as it relates to Wordfence, you are most welcome to post them in the comments below. 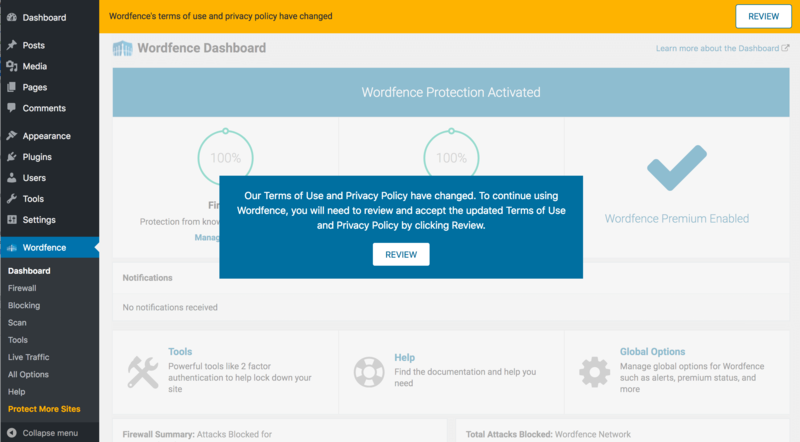 65 Comments on "Wordfence Is GDPR Compliant"
Can you tell me about how Wordfence is using Firewalls and blocking in relation to the GDPR considering an IP address to be personal information? IE can Wordfence still collect/log IPs for the purpose of security/logging even though the GDPR considers the IP address to be PI that you have to ask permission for? Or is the security/logging/blocking function an exception to the IP address is PI thing? As a website operator, you are a data controller, using GDPR terminology. You have a Data Protection Agreement (DPA) with us and we are a Data Processor. Under the terms of the agreement, if one of your site visitors wants their data deleted, they contact you and if needed, you contact us to have the data removed. This is legal under the GDPR and it allows us to store your site visitor IP addresses if needed. To take this one step further, you'll notice that in our DPA we have sub-processors defined. For example, Amazon AWS is a sub-processor of ours. They are also GDPR compliant and we make you aware that we are using them in the DPA. So if your site visitor or user contacts you to have data removed, you contact us and we'll ensure that our sub processors also comply with the request. Once you understand the concept of data controller (the website the user visits), data processor (that's us and anyone else who handles user data for you) and data sub-processors (services we use for things like storage), then it all begins to fit together a little easier. We are moving European data around, but we are ensuring that there is a clear understanding of where it is stored and there is clear accountability. Hope that helps. Please note that I am not a lawyer and you should not consider this legal advice. This is a recent development and we are still researching possibly integration with this feature. 3. I have a website that's based in the U.S. but that occasionally has visitors from the EU. Should I also sign your Data Processing Agreement and Standard Contractural Clauses? Or are those agreements only intended for websites based in the EU? 1) Check our Data Protection Agreement (DPA). 3) If you have site visitors from the EU zone, then you likely fall under GDPR and will need to take appropriate action. What about WordFence Multisite installations? I'm not seeing the "Review" notice in my main dashboard or in my client site dashboards. I've posted this question in our QA channel and am waiting for a reply from the team. It's after hours here so may have to get back to you tomorrow. You should see this on your network admin Wordfence pages within the administrative interface. If you don't see it within 24 hours, let us know. Question: is there a bit of a bug? I'm seeing the review button on some client sites after update, but not all. Since I'm asking clients to log in and review this...I'm getting some confused clients when it doesn't show up. Is it only on sites that meet some criteria? If you agree to terms on a site, all other sites with Premium keys owned by that same individual will not require agreement to the terms. That saves our key owners from having to agree to our ToS 100 times. Also it may take up to 24 hours for the notification to appear on some sites. Both the free version and the premium version send attack data to the US. In terms of the data processing agreement, if you need to sign one it doesn't matter which version of the plugin you are using. For the copy of the DPA, it's already publicly available so you can use the version we provide to share with your customers. Should free users have to accept the new T&Cs? Also should we send DPAs to you if using the free plugin? All customers, both free and paid, need to agree to the new terms and conditions. For the data processing agreement, there is no difference if you are using the free version or premium version as both versions send attack data to the US. Thanks for catching this! We will have an updated DPA tomorrow with the corrected section numbers. It's an immaterial change so the current DPA is valid for anyone that signs it. "Defiant automatically collects Customer and end user search queries and the date and time of the Customer and/or end user’s request and referral URL. Depending on the settings of a Customer and/or end user’s computer or mobile device (“Device”), Defiant also automatically collects: IP address; MAC address; Device make, model and operating system version; mobile network information; internet service provider; browser type and language; country and time zone in which the Device is located; and metadata stored on the Device. hen permitted, Defiant also may collect data about a User’s geographic location through GPS, beacons and similar technology. " This is quite a lot of information to gather. When and why do you collect this data? We do not store MAC addresses. This is an error that will be fixed in the next version of the DPA. The 'metadata stored on the device' refers to things like other HTTP headers that may indicate preferred language etc. This can be helpful in determining an attackers origin. I use the free version of the plugin, not the premium service. Can you confirm that the free plugin also collects the following data from visitors to sites on which it is enabled: IP address, MAC address, browser type, device and model, operating system version, geographical data, time zone and meta data, and that this data is also transferred out of the EEA? Yes the free version does collect that data and transfer it out of the EEA to the US. I'm UK based and host 100+ websites. I can see I only have to agree to your terms once to get that auto agreed on all my commercial API keys with you. 1) What about my sites/clients on the free version? I assume I'll have to agree to those one a time? 2) What about the DPA we need to sign also.... Do I as data processor sign one of those individually (in my own name) for each and every site I host and use wordfence on (free & commercial). I'm assuming it's right that I sign the DPAs as processor and you sub processor.... rather than my clients signing those DPAs? 1. Yes that is correct as we don't have accounts for the free version of the plugin which means there is no way to tie the sites together. 2. For who signs the DPA, it depends on the agreement you have with your clients. If you have the ability to enter contracts on their behalf, then you can sign for them. is there a specific email address where we can send the signed data processing agreement to? Yes! Please send the signed data processing agreement to privacy@wordfence.com. I appreciate the information you provided and alle the work done so far. However, from my point of view, we have to deactivate Wordfence in Europe, as long as there is no opt out for the IP Adress of the site visitors. When using Wordfence, I have to inform my site-visitors, that I am using your service, that this service is tracking the IP (for several good reasons) and there is no way for you to stop it (no opt out). As long as we don't have clear regulations from the European politics and/ or court decision, we are in a crazy state. Is there a plan to implement an OptOut for users? "However, from my point of view, we have to deactivate Wordfence in Europe, as long as there is no opt out for the IP Adress of the site visitors." This is a common misconception and is incorrect. GDPR does not prevent collection of user data. You have to do it under the terms of the GDPR, which is exactly what we're doing. For some reason there is this common misconception that you are no longer allowed to collect IPs. I'm unsure why this confusion exists, but my guess is that a few amateurs have thrown up "GDPR guide" pages and are providing bad advice. Where can I find these information? Thanks for reaching out. I think the process you have is a great idea! All of the information about what Wordfence collects and how it is used can be found on this page. If you have any other specific questions you're welcome to reach out at privacy@wordfence.com. As for now i am running on the free plugin. Do you also offer this DPA service for "costumers" running on the free version, or only on the permium plugin? Thank you for great service and plugin. If you need to sign the data processing agreement, it is valid for both free and premium customers. As I see it, GDPR regulation is not meant to create a lot of paperwork and make lawyers happy, but to protect internet users and let data collectors think twice if they really need to collect that much. Several scripts I use (like NInja Firewall) now offer the possibility to hash IP addresses. This immediately solves a big part of the GDPR problem. Why couldn't WF do something like this? I have a few comments about this. Firstly, hashing IP addresses does not 'tokenize' them because those hashes can be reversed. There are only 2^32 IPv4 addresses and that means that you can reverse hashed IPv4 addresses in minutes. Secondly, under GDPR, you don't need to tokenize IP addresses if you are legally transferring them using a DPA, as we are. There are two justifications for storing user PII. The first is via user consent. The second is through a legitimate business purpose. Security falls into the latter category, which is why you can store data that helps you secure your website. It is also how a data controller (that is you) is able to use a data processor (that's us) and their sub processors (that is for example AWS which we use and who are GDPR compliant) to store that data. There is a lot of misinformation and assumptions online. We worked very closely with a large law firm with US and European offices to bring ourselves into compliance. Maybe I'm missing something, but I can't find any information on HOW LONG Wordfence keeps the data it gathers from visitors to websites on which it is installed. "Indefinitely" isn't enough - we need a specific period of time if our privacy notices are to be compliant. Can you help please? In general we delete data after 90 days as it is no longer needed. Some data is kept for longer if it continues to be involved in malicious activity, such as IPs on our IP blacklist. PS: Please note that I edited this comment a few minutes after initially posting a reply that was incorrect. Thanks for the update on GDPR and Wordfence. One question remains though: Wordfence creates Cookies which are Third-Party-Cookies. If I'm correct you need to have consent from users before you are able to set Third-Party-Cookies unless there is a necessity for the cookie to be set. Is that the case with Wordfence cookies? It is important that you realize these are not third party cookies. These are first party cookies because it is your website setting these cookies. You installed software on your website (Wordfence) and that software sets those cookies. Those cookies are only sent between your visitor's browser and your website. That data is not sent to us when your visitor arrives on your site, which is why this is a first party cookie. It is you who is setting those cookies because you have installed Wordfence. If you need to list the cookies on your site, you can describe the Wordfence cookies as first party cookies because they are only sent from your visitor to your own website and not shared with us. To be clear: They do not work like Google Analytics cookies where data is sent and stored on Google's servers. The data is sent to your own server and if anything is stored, it is stored in your own database. We are allowed to process user PII either via consent or for a legitimate business purpose. In the case of the security data we process, we do it because security is a legitimate business purpose. We are legally allowed to transfer EU data to the US through our data protection agreement along with the standard contractual clauses we are currently using. There are many web pages out there making claims that are written by amateurs. Actually becoming GDPR compliant requires a significant amount of work in close concert with legal professionals, which has been our approach. I'm confident that we are compliant at this point. Thanks for supplying the GDPR-compliance in time! In Appendix 2 of the DPA you state that you abide by the security standards as specified by the Agreement. I'm uncertain, whether the Agreement specifies specific technical and organisational measures. Can you please point me in the right direction (which §? ), as for our own measures we need to specify in detail the technical and organisational measures, which would have to be compatible to yours. You are looking for Appendix 2.1 "Infrastructure security". for the DPA: where/how do I send back the signed DPA to you (by post? By Mail?) - which address? Please send it to privacy@defiant.com. Thanks. unfortunately the address privacy@wordfence.com doesn’t work. Is there an alternative address? Hi Christine. The address is privacy@defiant.com. Our company name is Defiant Inc. Our product is Wordfence. Thanks. Does that mean we must sign the DPA document and cant use Wordfence without it or how is it meant? Also we need to inform users about Wordfence on our privacy page, right? I administrate around twenty websites for clients using Wordfence on all of them. Should I sign the DPA with you myself, one contract for all sites. Or must every single client sign the DPA with you? I've asked our legal team about this and will get back to you. You are the controller for all sites and one contract suffices per entity. A different DPA is needed when it’s a different controller. Gdpr will not work correctly .... because of all backdoors in wordpress. Thanks for your effort and the information you provide here. I know there is a lot of confusion about IP addresses and legitimate business purpose. I am totally with you that collecting IP for security reasons is a very legitimate business purpose. However I would like to understand better in what circumstances IP-addresses are sent to your server. But instead of asking, I would just outline what kind of paragraph I would like to add to my data protection page with regards to Wordfence. We are using Wordfence (enter legal stuff, address, link to wordfence privacy statement, etc.) to protect our Webiste against hackers. As a normal site visitor browsing our Webiste or following offical links published on other Webistes and in Emails your IP-Address will not be sent to Wordfence. Only if you are showing a malicious behaviour (i.e. a browsing pattern typical for hackers, try to hack our Website using manipulated URLs, or try to access administration pages not intended to be accessed by the public) Wordfence might send your IP-Address to its servers to improve their service for the sake of security on the internet." I might rephrase that slightly for grammar, but that is factually correct. If someone attacks your site, we get their IP address and if they have made enough attacks we add it to our blacklist. When the attacks stop, it is removed after a short period of time. Usually a day or two. You're not alone. This puts a tremendous burden on small business. Even large organizations like the LA Times have elected to block European visitors rather than become compliant. I have only 7 websites which are all mine, do I just do one DPA contract with you or do I need one for each site. Sounds stupid, but I just want to make sure. I am assuming there are no blocking scripts for cookies plugins as this would mean the security would be made redundant. Are you collection suspicious IPs from all websites that run wordfence and process them for the blacklist which in return is used to protect all sites connected to the wordfence real-time blacklist network? I understand that this is the nature of wordfence and from security aspects this is a very useful feature but in this case you would process data not only on my advice but also for your self to improve your services – what is against the GDPR. "All of EU Personal Data is collected to operate, manage and improve the Services and ensure the technical functionality and security of the Services. " We maintain a blacklist of malicious IPs based on attack data. As do many security companies around the globe. Storing and processing PII including IPs is allowed under GDPR under several conditions including consent or legitimate interest. As per Recital 49 of GDPR, security constitutes a legitimate interest. 1. When you hopefully get the EU. - U.S. Privacy Shield, will the data processing agreement then be Updated, and will it be possible to reenter the DPA? 2. Will it be free of charge, to get your assistance in complying the Rights of the data subject - deletion and request of insights in the collected data? And have you considered incoorporating this functionality in the new functions regarding deletion ans seeing the data? Yes we will issue a new DPA when Privacy Shield is completed.